Ryo (Yusuke Iseya) is celebrating his upcoming 21st birthday with university pal Makoto, who's just been dumped by his girlfriend, and childhood friend Naoshi, who works in his father's auto body shop. Bored of drinking, they decide to visit a yakuza Ryo knows to score some drugs. On the way home, he carelessly loses them. He goes back to the yakuza's house and runs into the cops, who've been staking out the apartment. Already high on LSD, Rye desperately runs through the night to an uncertain fate. 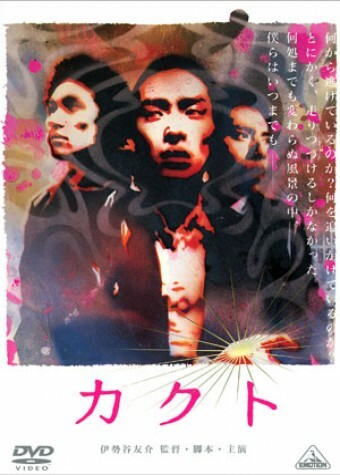 The title "Kakuto" has the double-meaning of "awakening person" and "awakening city". Actor/Model Yusuke Iseya makes his directorial debut with "Kakuto."